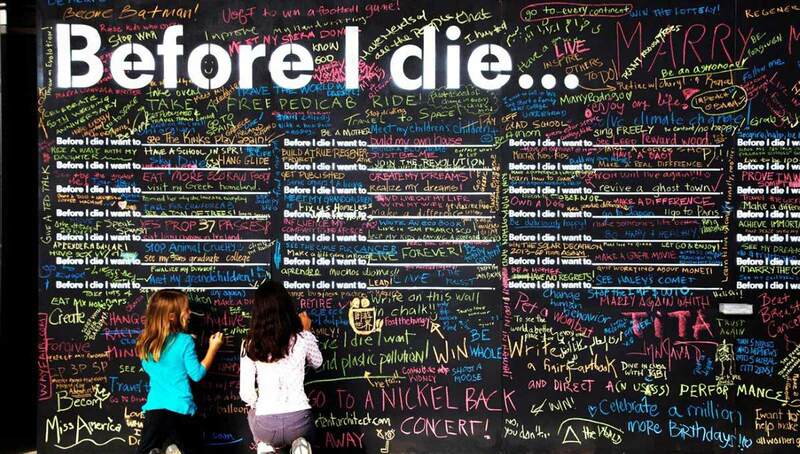 Before I Die is a global art project that invites people to contemplate mortality and share their personal aspirations in public. Hāwera Bizlink presents this installation in the Hāwera Town Square for the duration of Arts Fest. Over 2000 Before I Die walls have been created in over 70 countries, including Iraq, China, Brazil, Kazakhstan, and South Africa. Revealing the community’s longings, anxieties, joys, and struggles, the project explores how public space can cultivate self-examination and empathy among neighbors and compassionately prepare us for death and grief. It has also inspired dozens of remixes that offer new ways to engage with the people around us.